Choosing a major appliance is a major decision. Refrigerators are a necessity in life that runs into the luxury category with price tags reaching into the thousands of dollars. To keep the options and styles of refrigerators from overwhelming you, we have some tips on choosing the perfect fridge. Go without power for a day or two, and you quickly realize what electrical luxuries we value most. In hot climates, the air conditioner is a must while in northern areas the heater is more important. But no matter where you live, the first thing we miss when the power goes out is the way to preserve our food – the almighty refrigerator. While refrigerators may keep running faithfully for fifteen years or more, poor maintenance can lead to smells or stains that can't be ignored, so maybe it is time to consider upgrading your appliance. To help sort through hundreds of choices, we have put together a little guide on finding what the perfect fit for your needs is. You probably don’t often think about the different types of refrigerators. A fridge is a fridge, right? Well, not always. The traditional refrigerator-freezer combination has the frozen food compartment on top and the shelves and drawers for other cold items like milk or soda on the bottom. Usually the lowest cost option, top freezer units are just that – the lowest cost. While top freezers make good use of space, they rarely have many additional options available like in-door ice dispensers. The doors swing wide, making the removal of shelves and drawers easier. Be sure to consider the space available for your refrigerator. Upgrading the size of your top freezer unit may lead to problems opening the doors all the way if you have it installed close to a wall or tucked into a cubby. The bottom freezer refrigerator is all about line of sight. The part of the fridge opened and closed the most often is the cold-food section, so this style of refrigerator moves that section up higher, making it easier to grab the milk without bending down. The freezer is typically a pullout drawer allowing access from above. Bottom freezers tend to have less cubic feet available for storage than their top freezer cousins, and they are usually more expensive. These units are also some of the most energy-efficient on the market. 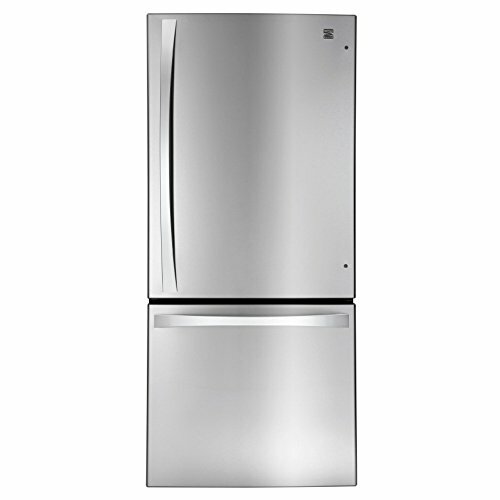 If a member of the family has difficulty reaching down or stooping to grab items, the bottom freezer is a great option. Heavier frozen items are down low, meaning you are far less likely to drop anything on your foot while rummaging for the ice cream. Instead of dividing horizontally, side-by-side model refrigerators allow both the frozen and fresh food sections to stand at the full height of the unit. This means you get about the same space for both compartments, but the shelves are narrower. So, while maybe you can’t load that whole birthday cake into the fridge, there is more room for ice cream in the larger freezer section. The doors do not need to swing wide like the bottom and top freezer models, making it easier to place the unit in a tight space. Less energy efficient and more expensive than the previous two types of refrigerators mentioned, this fridge is suitable for smaller kitchens with smaller families. The side-by-side doors are standard in styles with fancy add-ons like wi-fi capabilities. 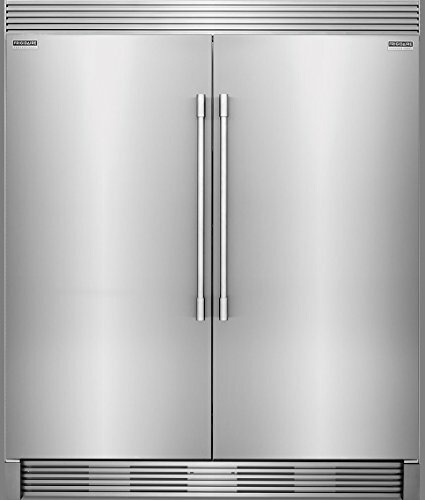 A hybrid between the side-by-side model and the bottom freezer unit, French door refrigerators utilize two doors for the fresh-food compartment and one pull out drawer for the freezer compartment. Some models even employ a third, smaller drawer for cold storage of low-height items like butter containers. The interior allows for wide items like pizza boxes while still have smaller doors. You don’t have to open both doors to reach in for a quick snack, and both doors have usable storage space. The biggest con of this type of refrigerator is the hefty price tag. We can’t give a thorough recommendation on refrigerators without taking a moment to discuss the dorm room and office champion, the compact fridge. Storage is significantly less than a full-sized unit, but the power drain is nearly the same. Mini-fridges are not usually tested or compared to traditional models, but there a few notes to keep in mind if you plan on using a compact fridge for more than just small items. A compact unit is at risk for getting warm, meaning the temperature inside the fridge can increase over 40 ˚F and opening the window for the growth of harmful bacteria. Some units have a small freezer section that can over-freeze and lead to a need to defrost the entire fridge on occasion. Compacts are good for sodas, snacks, and maybe your lunch – but not for long-term, high capacity use. For those who want to go all out on the largest appliance in their home, a built-in refrigerator is installed so that it fits flush into the wall or amongst the cabinets. The types of refrigerators may be French door, side-by-side, and bottom freezer models and know that regardless of the style or additional options, this is the most expensive route to go. Consumer Reports found that in general, the actual storage capacity of a refrigerator is less than what the manufacturer claims. For instance, a bottom freezer style fridge may claim 30 cubic feet of space, but the usable space is anywhere from 17 – 20% less. Better Homes and Gardens recommends a family of two have at least eight cubic feet of space for food and four cubic feet of usable space in the freezer compartment. Every time you add a member to the family, add at least two cubic feet to the fresh-food compartment and another foot to the freezer section. This means a family of four should have a refrigerator with at least fifteen cubic feet cold storage and eight cubic feet of freezer space. Appliance manufacturers recommend even higher storage space, at over twenty cubic feet for a four-person household. If you tend to stock up on frozen foods, be sure to look for more space or even consider getting a standalone deep freezer. Even if a refrigerator will fit in the space available in your kitchen, make sure it will also fit through the doors and in hallways once delivered. The last thing you want to do is damage your shiny new fridge while trying to get it into the house! The Environmental Protection Agency follows the ENERGY STAR guidelines for certifying appliances based on their energy consumption. 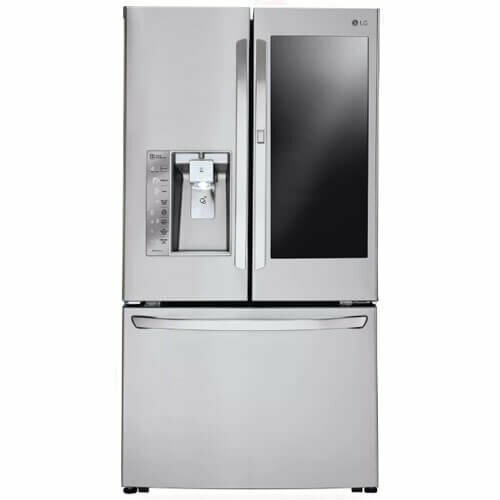 If you see the ENERGY STAR label, then you can start off knowing this fridge is likely in the top 25% when compared to other units on the market. But let’s dig a little deeper. Do not compare different types of refrigerators based on energy costs. After you know which model is best for your needs, such as a side-by-side unit, then look at other side-by-sides before comparing energy labels. 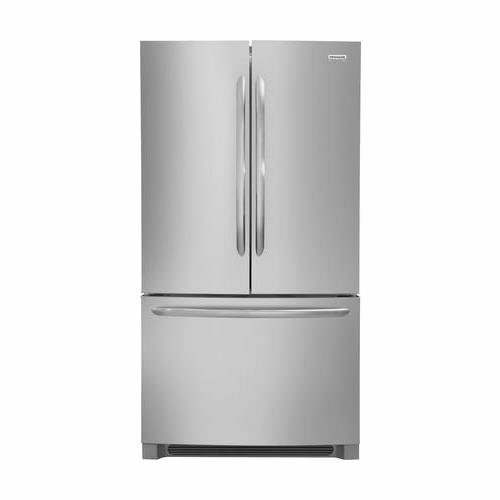 Once you have narrowed down the style and size of refrigerator you need, we recommend For more information on the energy efficiency of the refrigerators that interest you most, visit ENERGY STAR’s website and check out their recommendations on the most efficient refrigerators on the market. If you prefer to see models in person and test them by opening doors and physically checking the space, the ENERGYGUIDE label is a useful tool. It lists key features for each fridge along with the estimates for energy usage (in kilowatt hours) and expected cost each year based on the national average. – you lose some freezer storage space for the ice maker and water dispenser, but it is well worth not having to constantly open and close the freezer doors or re-fill ice cube trays. – crisper drawers and air purification will keep odors low and bacteria at bay. – sometimes you can control the temperature settings in specific drawers and keep dairy items colder without freezing the lettuce in the crisper drawer. – being able to adjust shelves, or even half a shelf allows customization as needs change. Need room for that tall bottle of wine? No problem, just move a shelf. It also makes cleaning easier. The Internet of Things (IoT) places technology in the most mundane of household appliances, including the household refrigerator. Some high-tech options found in smart refrigerators now include cameras that allow you to see inside the fresh-food compartment without opening any doors, make a shopping list that downloads to your smartphone, and some units even use sensors to analyze what is in the fridge and adds to the list automatically. Adding this sort of technology to your fridge will also up the overall cost and risk for repairs. Software needs regular updating, and complex units may require specialized technicians instead of standard appliance service companies. The more complicated the refrigerator, the more likely you are to have components in need of repair. If you want to keep it low-cost and simple, stick with a top freezer model. For those who love wine, invest in a compact fridge explicitly designed for the bottles. Have a big family? Focus on usable space and ways to keep your family from leaving doors open, such as door-in-door access or smaller pullout drawers.